I live in Naperville with my husband and have three young adult kids. My youngest just started his freshman year at college, so we are new empty nesters! I spent the last 25 or so years volunteering as much as I could with Naperville Community School District 203 and other spots around town. 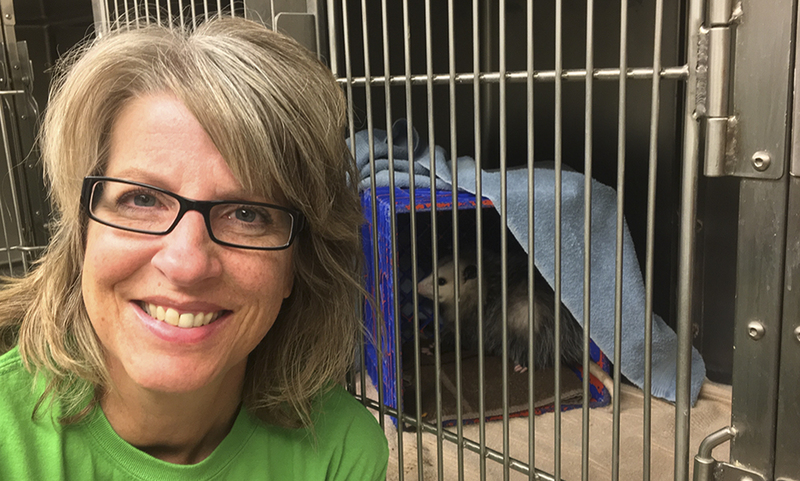 This past spring I began a regular shift as a volunteer animal keeper at the District’s Willowbrook Wildlife Center in Glen Ellyn. I love to travel. A great trip to me combines a city with its natural sites, not just sitting on a beach for days. So in addition to visiting cities, I love hiking at natural areas near and far, reading, visiting conservatories and botanical gardens, eating out, etc. I have started converting portions of my yard into pollinator habitat, and I rent a community garden plot through the Naperville Park District each summer. I grew up in Downers Grove, so I’ve really made use of DuPage forest preserves my whole life. 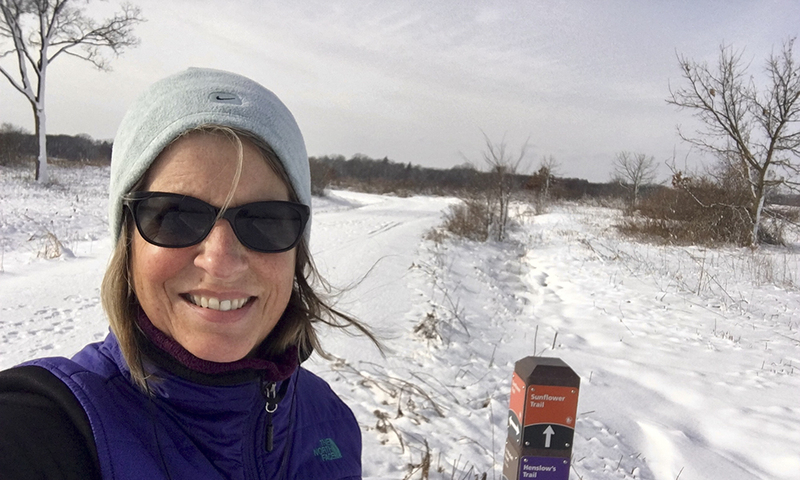 I am lucky enough to currently live within walking distance of an access point into Springbrook Prairie Natural Preserve here in Naperville and I hike the trails there daily. We are also very close to several other preserves. 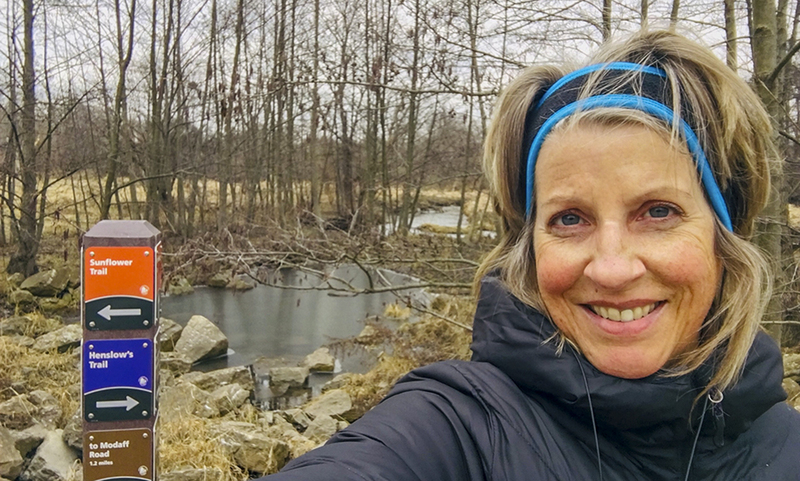 I return to the prairie so often for exercise, solitude, lots of picture taking for my Instagram account, peace and silence, and a chance to listen to my favorite podcasts. My family laughs because for the last few years I’ve been bringing a few Target bags so I can pick up litter along the trail. People, pick up your trash! On my Tuesday shift at Willowbrook I learn so much about the animals in our care. It’s a huge privilege to be allowed such a hands-on interaction! It’s dirty, tiring work sometimes, but I love it and you sometimes get to go along on a release. My favorite one so far was earlier in the fall, taking a recovered snapping turtle to his designated release point and watching him swim off into the deep water. Our Tuesday morning group of volunteers is the best: everyone is so friendly and pitches in everywhere. Lawrence is a volunteer animal keeper at Willowbrook Wildlife Center in Glen Ellyn. I think I’ve had the ‘nature bug’ my whole life. My mom was an avid gardener and I have fun memories of working in the yard by her side. 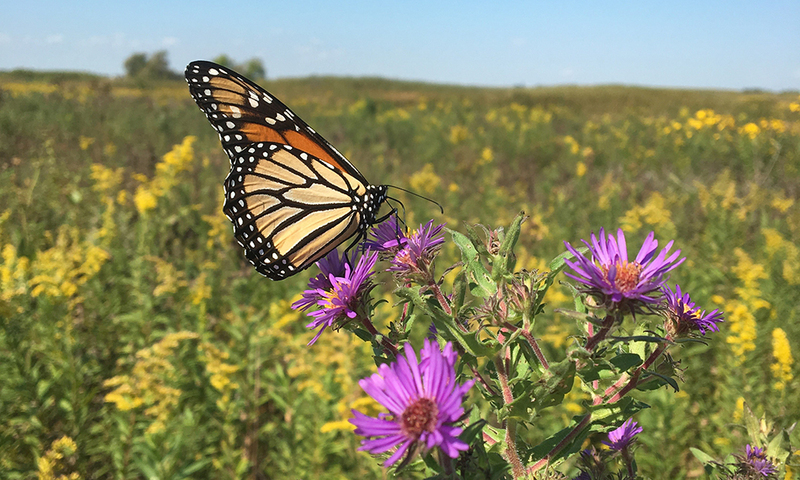 I’ve recently become interested in the DuPage Monarch Project and working to raise awareness of the importance of pollinator habitat and planting native species. I’m hoping to start volunteering next spring with the Morton Arboretum, another favorite destination. I would love to learn beekeeping someday. 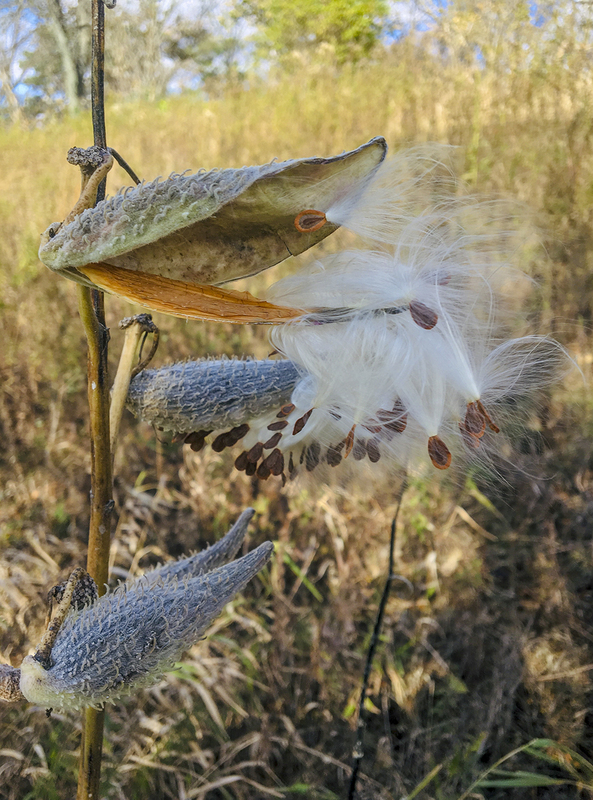 I am just an amateur naturalist, but I love to take pictures along the back trails of all the unique animals and plants I come across. I enjoy observing the migration cycles of birds and seasons of plants on our beautiful Midwest prairie, along with spotting creatures “just passing through.” Working at Willowbrook also allows me to see up close many unusual migrants through our area. My tips for others thinking of exploring the preserves: Just go! Go to a nearby preserve. Visit the horses at Danada Equestrian Center in Wheaton. Watch the model airplane flying club in action at Springbrook Prairie, but then also notice the barn swallows that nest in the picnic shelter right next to those model planes. Walk the back trails, cross the rustic bridges. Watch and listen. 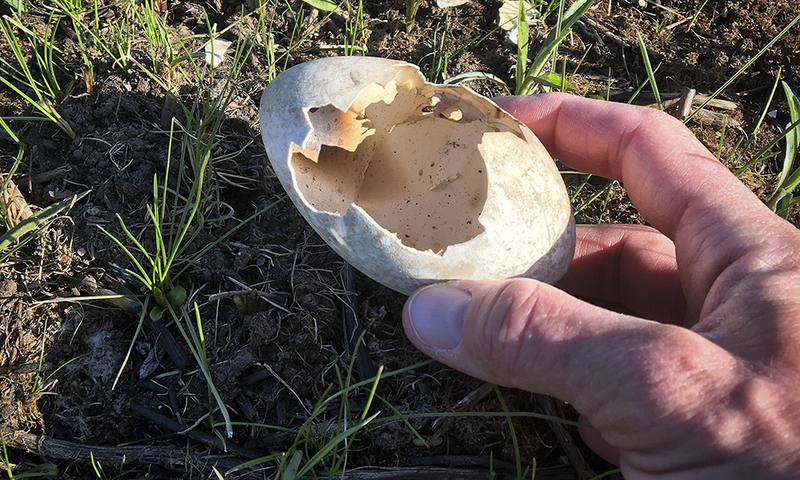 You might see a coyote, a fawn, a turtle laying eggs, crayfish, hawks, herons, voles, monarch butterflies, bumblebees, hummingbirds and more. You’ll come to think of your favorite spots as belonging to you.